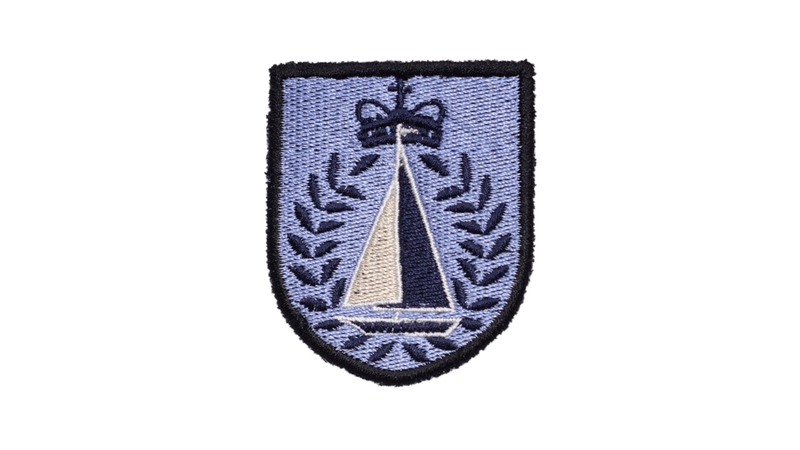 Small sailing patch, exquisitely embroidered in classic colours on a stately shaped shield. Perfect on our waterproof stuff bag - a great on board bag that you can fill with snacks, spare rope and your wallet. Similar patches include our surfing patch, swimming patch and rowing patch.